Fall crocus growing corm of the genus Crocus, also known as Crocus goulimyi, Fall crocus is perennial deciduous plant used as ornamental plants, grow in mediterranean climate, in subtropics or temperate climate and growing in hardiness zone 6-9, can grow outside of this hardiness zone but needed to take the corms out of the ground. 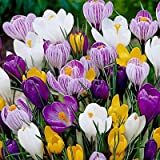 Flower color purple with yellow stigmas, there are six petals and 3 stigmas. 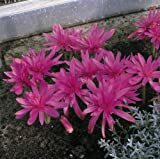 40 Jumbo Crocus Mixture Bulbs-- Fall Planting! 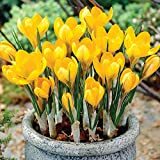 20 Jumbo Crocus Mixture Bulbs-- Fall planting! Purple flowers with yellow stigmas, there are six petals and 3 stigmas. 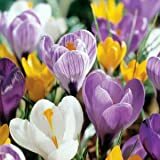 How to make Vegetative Reproduction in Fall crocus? What is the treatment for vegetative reproduction in Fall crocus?